Call Legends Rosewood Village home and you’ll have the opportunity to discover both Ypsilanti and Ann Arbor, MI. Located just a few miles from downtown Ann Arbor, Legends Rosewood Village offers residents the chance to enjoy the unique shops, restaurants, and entertainment options in the area. Our suburban setting creates a peaceful retreat for your entire family, while also remaining close to the conveniences of daily life, whether you need to grab groceries at Sam’s Club or pick up a household item from Walmart. Get to class on time easily living near Eastern Michigan University and the University of Michigan, and enjoy the perks of a college town with all the extras it has to offer. Contact us to schedule a personal tour of our Ypsilanti luxury apartments and stay awhile to get to know the neighborhood. We look forward to seeing you soon! 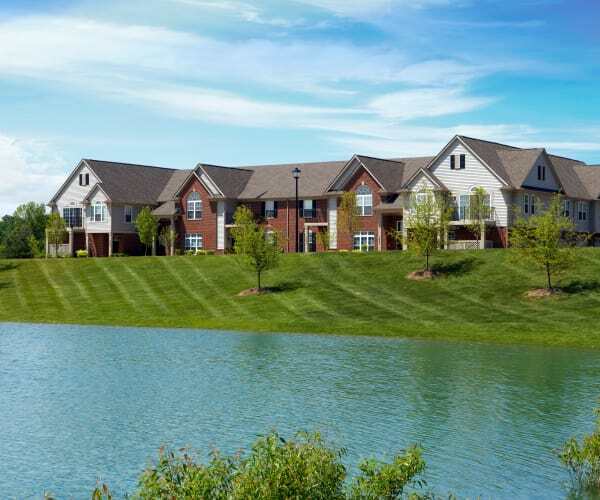 Experience the lifestyle you crave living in a cozy suburban neighborhood between Ann Arbor and Ypsilanti. Our community offers a peaceful setting with opportunities for recreation at Pittsfield Preserve Nature Trail, tasty eats at Blaze Pizza, and a chance to brush up on your short game at Pine View Golf Course. You’ll love the suburban setting of Legends Rosewood Village.